Let’s be honest here, in all walks of life we judge books by their covers. We may say we don’t, we may like to think we don’t – but we do. I know I am very guilty of doing this with actual books – i’d like to think that proverbially, I don’t all into this trap as much. I love books, I love reading, I love bookshelves, I love libraries, I love book shops, and I love bookends. There is nothing more I hate than getting a book and then having to give it away/sell it. Well there is, owning a partial collection (I suffer this in both the Sylvia Day Crossfire series and The Twilight saga – I never intend to re-read either, but the fact they’re not complete bugs me no end) or owning a complete collection of hotch-potch editions (again, The Twilight saga: Twilight – paperback movie edition, New Moon – paperback normal edition, Eclipse – missing, Breaking Dawn – hardback normal edition) as both mess up the (vague) order of my bookshelf. I recently got a new bed for my room, and persuaded my parents, well my Dad, to construct an above the bed bookshelf to both make use of the room in my bed, and allow me to display my books in a nice fashion. I love the result. It gave me an excuse to have a look at all my books again. While I was ordering them, I noticed how pretty a lot of the covers of my books are. It’s probably the reason (partially) that I have the kept the ones still on my shelf. Ever since I moved to university and down-sized in bedroom size at home I have had to get rid of books as I bought new ones, one of the main reasons I sold out into the e-reader world. Pretty books. They look so lovely all lined up in order, and the covers so intricately decorated. Judging books by their covers is a tradition that dates back as long as books, so it’s no surprise we think differently. 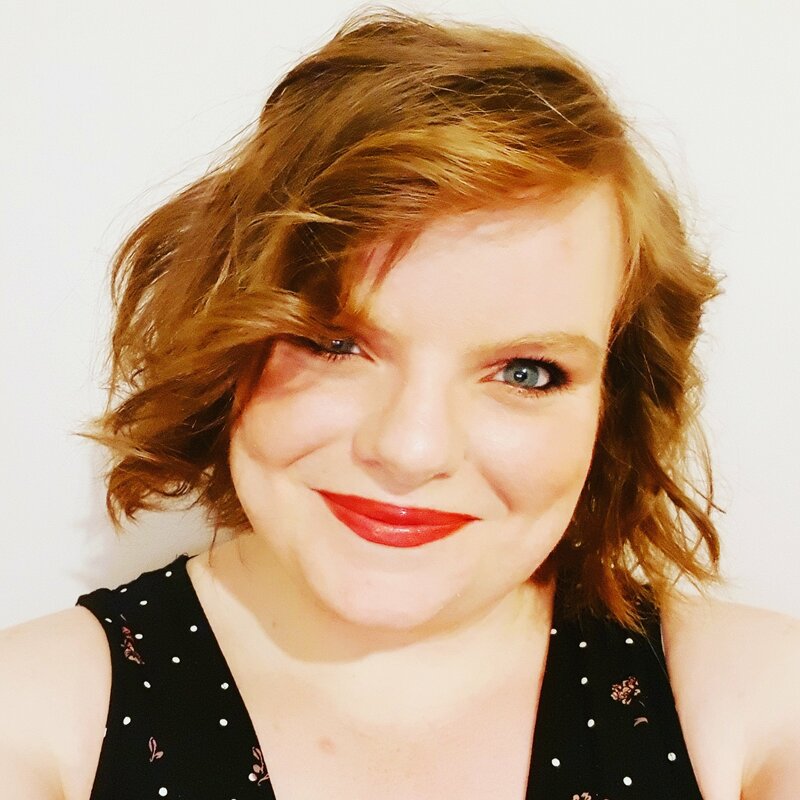 I have noticed that book blind dating has recently taken off. For those of you who haven’t had the fortune to come across this marvel, click here. It seems to be a really good idea, but, I still would rather choose a book by judging its cover. I love Harry Potter. I am absolutely prime generation for J K Rowling’s magical world, and can safely say that I can’t imagine my life without it. I fully acknowledge that might seem pathetic to many of you, but there we go. Her bold characters, extraordinary world, yet utterly believable creations have moulded my literary and film interests. I hesitate to say they’ve affected my personality, but that may not be as much of an over-exaggeration as I would like. The books have fantastic simple cover art that depicts some of the scenes from the book, I’ve photographed my favourite book for you – The Chamber of Secrets. The spines are possible my favourite collection of book spines – combining the simplicity of the penguin classics with the bright colours narrated within the pages of Harry Potter that catch both children and adult’s eyes alike, these have become normal for an entire generation.I have also included my other Harry Potter books, Tales of Beedle the Bard, Quidditch through the Ages, and Magical Beasts and Where to Find Them. These books brilliantly capture the essence of the Harry Potter world, amd are beautiful yet different examples of cover art in the Harry Potter book world. Yes, I do also own Harry Potter book ends. 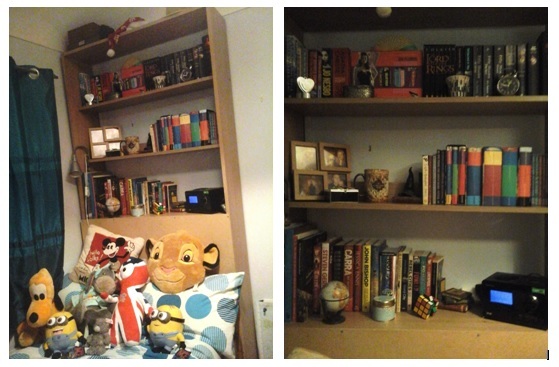 I love Harry Potter and book ends, what can I say? It was meant to be! 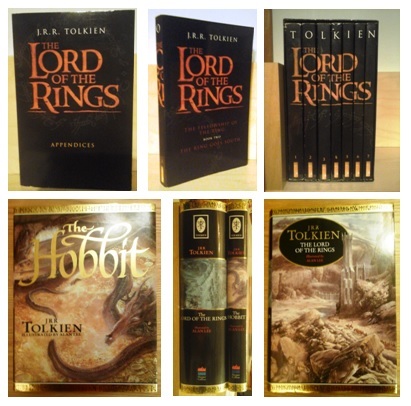 I personally own one set of Lord of the Rings books, and so does my Dad. They are completely different editions, and are both really pretty looking. My Dad’s copy of LOTR and The Hobbit are large hardback illustrated copies (illustrations by Alan lee.) The artistry in them is quite stunning, many of the scenes influencing the film’s cinematography; the addition of shiny gold script and borders on both the covers and spines adds another level of beauty to these books. My set is a lot more understated. I received the box-set of LOTR around the film release of Fellowship of the Ring from my Aunt and Uncle, and they are so much simpler than my Dad’s. They feature a predominantly black cover, with orange script. The covers and spines both feature the same title script and same elven inscription from the book that is present on the ring itself; the inscription is toned a dark grey – only noticeable when the reader has the book close to hand. But it is the spines of these books that is extra-special. 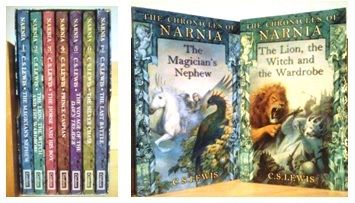 Individually, the spines are quite boring, they feature a small amount of the title and inscription in the same design as the cover, however, when the books are lined up next to one another in order, they depict the cover. It’s all very clever! 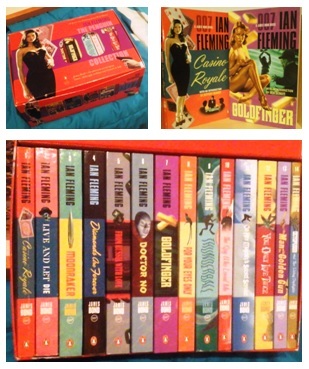 I love the James Bond films, so a few years ago, my parents bought me this box-set of the Ian Fleming novels. I have to confess, I have only read one, but it was good. The books themselves are very impressively designed. The cover-art depicts key moments and themes from within the books, with script and colour schemes that accentuate the story and art portrayed on the cover and between the pages. The spines feature miniature versions of the covers, and look wonderfully eclectic and colourful when lined up in order on a shelf. This is yet another set of books I have (ashamedly) never read. I think they will probably feature on an upcoming TBR list! This box-set, similar to my James Bond collection, features artistic representations of scenes/elements from the books. Each book is also individually coloured so when they line up, the background, and spines shows the difference themes of each story. The textured appearance of the coloured backgrounds is a pleasant addition that makes the spines more interesting. OK, this is not a collection. I have included this on this post in case I never make another one on the subject. This is my favourite book I’ve ever read. I have owned two copies of it over time, both shown. 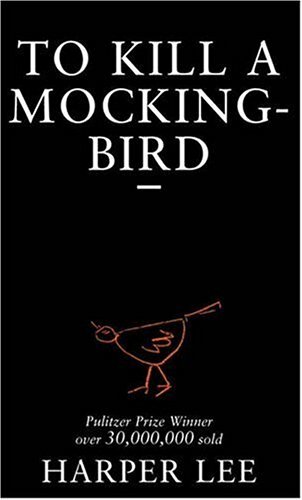 The first, with a simple black cover, was rather boring, although the small, hand-drawn mockingbird was a simple and crude way of displaying the innocence of youth that is present throughout the book. 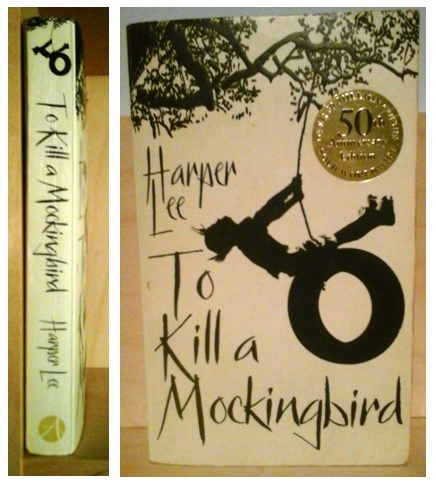 The second copy, the version I still own, is the cream covered book. The shadow picture of a child swinging on a tyre hanging from a tree highlights the innocence of youth through a more beautiful medium. The script is very stylistic, quite sharp, almost like bird feet. I think this (probably) purposeful choice is a perfect contrast to the flowing shadow picture, especially on the spine, where the miniature version of the child on the tyre is displayed. My favourite story, and my favourite physical book, it has literally travelled the world with me. I am guessing by now that you may have realised I have a bit of a thing for box-sets of books. This is partly because I have been bought box-sets of books as presents over the years, and partly because I don’t get rid of books in pretty boxes. They always look so good on a book shelf, and buying the set ensures they are all the same editions! That is it. If you stuck with this post right through to the end, well done, it was a bit of a whopper! I can honestly say, I always judge books by their covers.. Haha! It’s so hard not to, and when they have put so much effort into making them so pretty, it would be almost rude not to!